Thetis and Nereids conveying armour across the sea to Achilles at Troy. 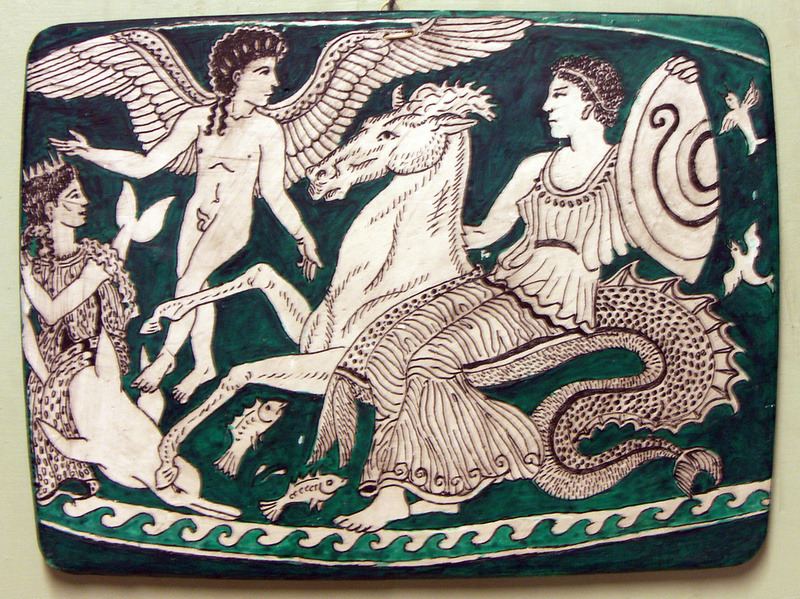 Thetis is seated on a hippocamp; the Nereid on a dolphin. Between them is Eros. From a vase in the British Museum. Copy by Diana Webber, 2015. Published August 9, 2016 at 1069 × 800 in Ancient Greece. Trackbacks are closed, but you can post a comment.